Helen Garten, Democratic candidate for first selectman of Westport, Conn.
My name is Helen Garten, and I would like to be your next first selectman. We have a unique opportunity to work together as a community to make Westport the best that it can be. I've lived in Westport almost 30 years. My husband grew up here. I attended Princeton and Harvard Law School, practiced law at a New York firm and taught business and financial law for 25 years. I served on Westport's RTM two years and on the Board of Finance eight years, two as chair and four as vice chair. During my years in elected office, as well as on the campaign trail, I've heard from you what you want from town government. What I've heard is that, as we go about our busy lives, we want town leaders to ensure that our children receive the best educational opportunities in Connecticut, that when we open our tax bills we won't experience sticker shock, and that Westport will always remain a vibrant, uniquely livable community. Making it happen is the most important thing that a first selectman can do. The recession taught us that protecting and enhancing what we love about Westport requires a different kind of leadership. That's what I and my running mate Melissa Kane offer. I come to the job with the leadership skills and experience to manage town finances effectively, so that Westport will always have the resources we need to move forward. As chair of the Board of Finance during the worst of the recession years, I challenged a first selectman of my own political party to ensure that the schools remained funded, services remained intact and taxes remained low compared with surrounding communities. I am proud that I led the charge and succeeded in finding efficiencies, creating long term savings and achieving union pension reform. As a result of my efforts, Westport survived the recession strong and well positioned for the future. Pre-recession, budgets increased 5 percent. The new normal is 2 percent. The new normal requires experienced financial management skills to free up the resources we will need to expand senior tax relief and housing opportunities, to repair our beach and Longshore, to fund innovations in our schools and to address traffic woes, deteriorating infrastructure and flooding. As Westport changes and grows, we can protect our open space, historic resources and community character. Planning Westport's downtown is an exciting opportunity for our community. The next first selectman must ensure that your vision and your voice are part of this process. Like many of you, I envision a downtown that is once again a destination for Westporters, with vibrant streetscapes, including a relocated Gunn House on Elm Street, a diversity of retail, restaurant and cultural offerings, and places to gather. My goal is to make Westport once again a leader in attracting start ups, micro businesses, small retail and restaurants. I'll be an ambassador for the Westport business community, making the case why these businesses should choose Westport and making sure that these businesses are able to stay in Westport. As the Y leaves downtown, I will work to create new venues where our teens and young children can meet and be safe. For some of you, Westport's biggest quality of life challenge is traffic. For others, it is housing costs. For others, it is preserving open space. Your concerns will be my concerns, and working together we will find solutions. I'll explore creative approaches to traffic congestion at our major intersections and lobby the state to work with us to make changes. I'll invest in public transit to make bus routes more convenient and accessible so that more of us can use them. I'll support expanding senior housing opportunities and adding amenities to the Senior Center. And I'll protect our precious parks and green spaces from the threat of development. These are the right choices because they enhance our quality of life, but they will cost money. That doesn't mean we have to tolerate over-development to grow the tax base. Effectively managing town finances, working with developers so that they give back to our community and attracting and retaining a diverse mix of businesses will give us the funds we need to reinvest in Westport. During my 10 years in Westport government, one of my priorities has been to ensure that residents have a say in the decisions that affect their children, their homes and their taxes. We all feel disconnected from Washington, D.C. We shouldn't ever feel disconnected from Myrtle Avenue. I will hold brown-bag lunches and add interactive features to the town website. Under my leadership, town hall will be open, transparent and responsive. My running mate Melissa Kane has played leadership roles in major Westport cultural institutions and as selectman would forge closer relationships between town hall and our important community organizations. She is also a passionate advocate for the environment, as I am. Together, we look forward to working with you in the shared commitment to rekindle our sense of community and excitement about Westport and to make this great town even better. 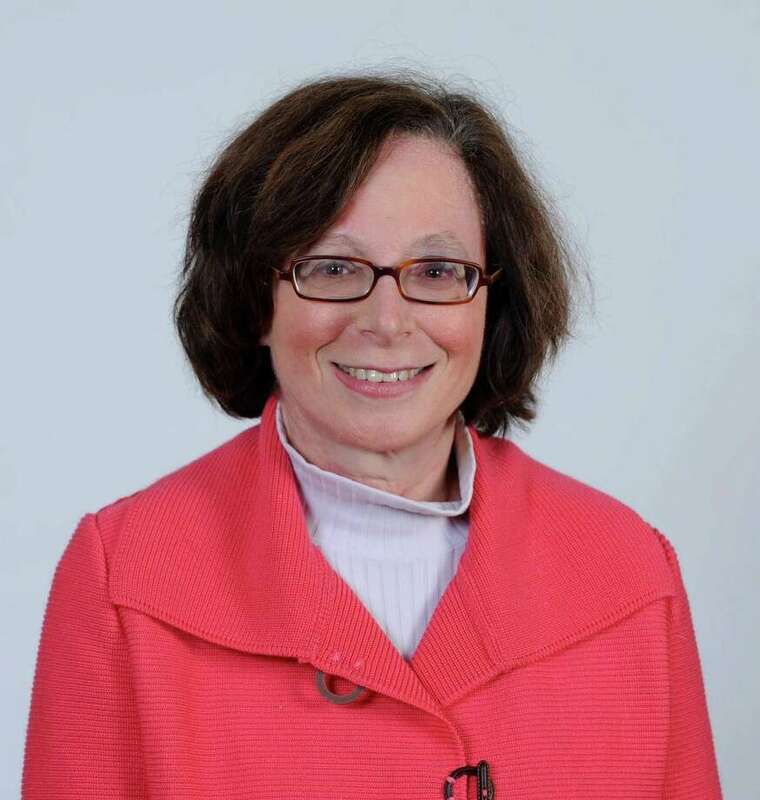 Democrat Helen Garten is a candidate for first selectman in the Nov. 5 election. Her running mate, Melissa Kane, is the Democratic candidate for second selectman.